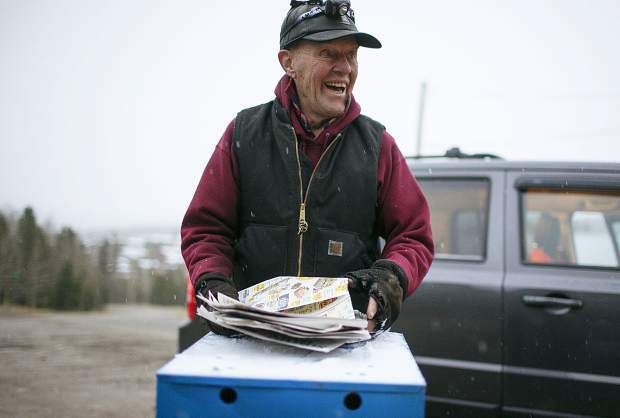 Jack Mathews, 78, started delivering papers for the Summit Daily News in 1997. 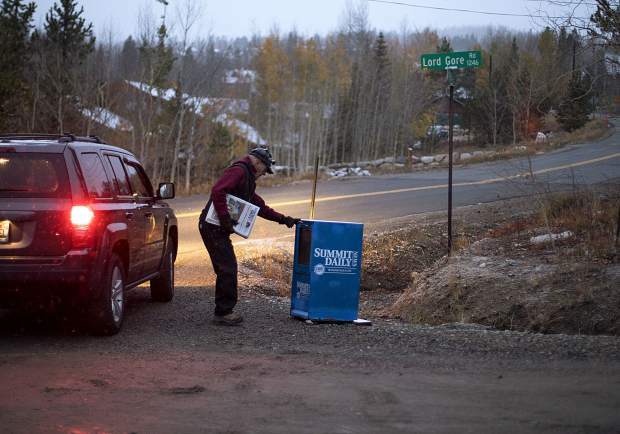 Jack Mathews delivers fills a box with a stack of papers during the early hours of Thursday, Oct. 11, in Silverthorne. 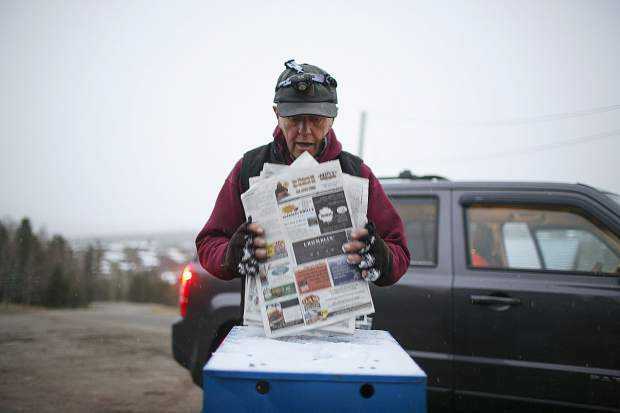 Jack Mathews picks up stacks of the Summit Daily News in Dillon to load into his own car for delivery in Silverthorne, Thursday, Oct. 11. 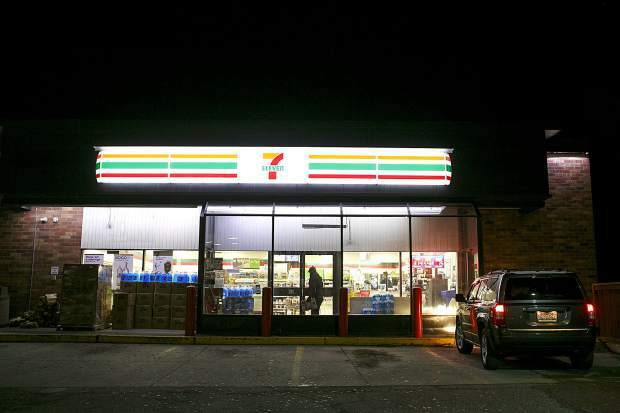 Jack Mathews delivers the Summit Daily News at a Silverthorne 7-Eleven in the early hours of Thursday, Oct. 11. 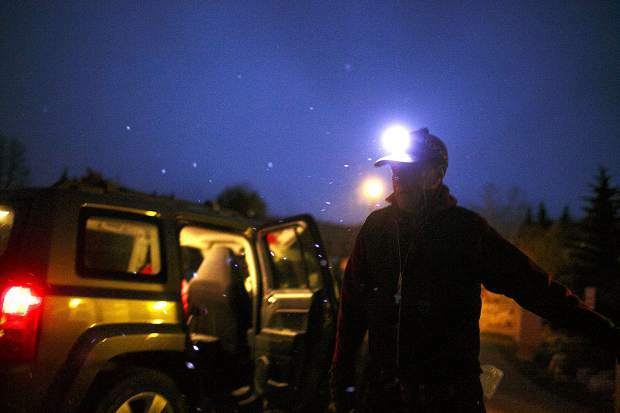 Jack Mathews delivers the day's edition in the Summit Daily News' newspaper vending box in the early hours of Thursday, Oct. 11, north of Silverthorne. 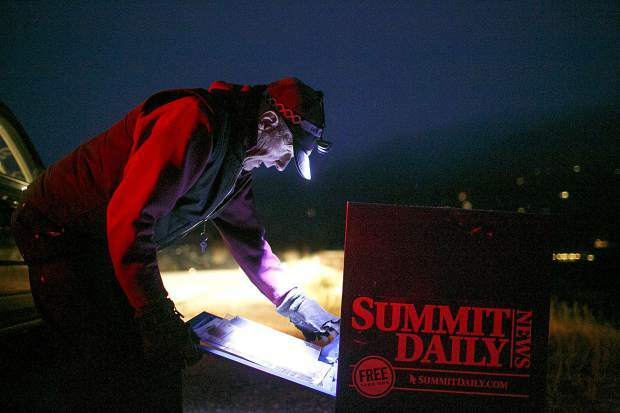 Jack Mathews delivers the day's edition in the Summit Daily News' newspaper vending box in the early hours of Thursday, Oct. 11, in the wildernest neighborhood of Silverthorne. 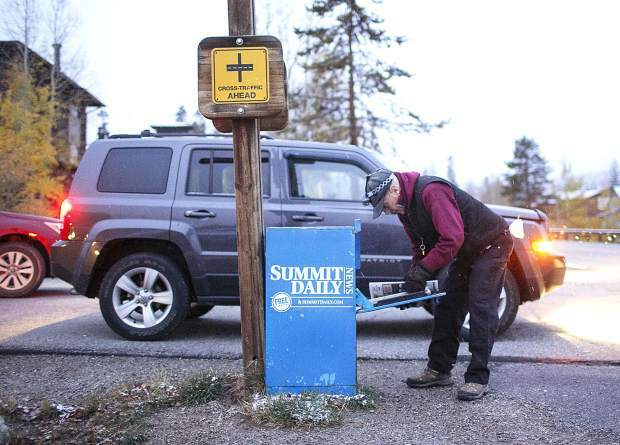 Jack Mathews delivers the day's edition in the Summit Daily News' newspaper vending box Thursday morning, Oct. 11, in the wildernest neighborhood of Silverthorne. 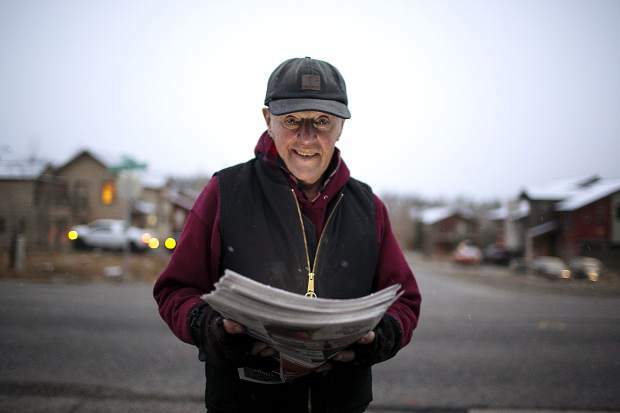 Jack Mathews cleans out the previous day's edition in the Summit Daily News' and the advertising papers from a vending box in the early hours of Thursday, Oct. 11, in the wildernest neighborhood of Silverthorne. If you’re reading this in print, there’s a chance that Jack Mathews made it possible. Nearly every morning for the last 20-odd years, Mathews has been a newspaper carrier for the Summit Daily News. 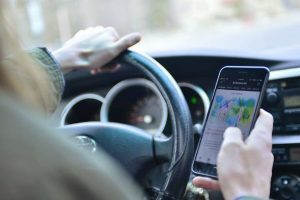 The 78-year-old started the job back in 1997 as a way to supplement his income as a postal worker, a job he did for 40 years. 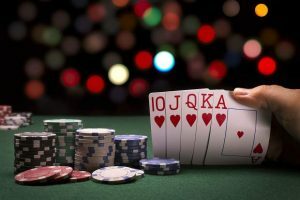 As far as why Mathews has kept his carrier job long after most people retire, the reasons are pretty simple — independence and gratitude.